CM Orndorff’s first exposure to martial arts was in 1974 at the YMCA in Fremont, Ohio at the age of 10. The training was short lived but picked up again in 1990 with Taekwondo instructor and Black Belt Billy Burel in Clyde, Ohio. Mr Burel was teaching through Kirk Hess’s Oriental Martial Arts in Fremont, Ohio. CM Orndorff trained within Kirk Hess’s group of schools throughout Northern Ohio until 1996. He also trained with Gerald Hill from Clyde, Ohio in Tae Kwon Do and Brazilian Jiu Jitsu from 1992 – 2014. He has trained with many other instructors of multiple styles through the years, both local and throughout North and Central America. CM Orndorff was born in Sandusky, Ohio in 1964. He grew up in Clyde, Ohio and attended Clyde High School. During high school he worked in the family auto parts business from 1978 – 1983. After high school he landed a job at Whirlpool Corp. in 1983. He continued to work at Whirlpool until 1997 when he began teaching martial arts full time in Norwalk, Ohio. He currently lives in Collins, Ohio. CM Orndorff began teaching Taekwondo in 1993 to keep the school open as his instructor at the time could not continue teaching. He opened his first school through Kirk Hess in 1994 in Norwalk, Ohio. In 1997 that school became The North American Martial Arts Institute (NAMAI). He opened his second NAMAI location in 2009 in Sandusky, Ohio which is now owned by long time student and business associate KJN Eric Jones. A third location of NAMAI is in Toledo, Ohio and owned by KJN Cory Beamer. Through the years these schools have raised over $90,000 for local individuals in crisis and charities. Orndorff has been certified in and teaches protection programs such as EZ Defense and The Active Shooter Response Program. 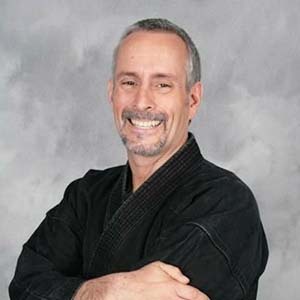 He spent a year as Ohio State Representative for the NAPMA (National Association of Professional Martial Artists) School Support Network in 1998. He also represented and was a national distributor of IKON Martial Arts products. He was a Century Martial Arts Advisory Board Member in 2004. CM Orndorff has been honored by achieving Dahn ranks in Taekwondo from top martial artists such as Kirk Hess, Gerald Hill, Philip Porter and GM Rudy Timmerman. He received his 6th Dahn Black Belt in Taekwondo in 2015 from GM Rudy Timmerman.